While most Tech students spent last week relaxing at beaches and vacation spots across the country while catching up on sleep, freshman Tyler Strafaci and the rest of Tech’s golf team spent their spring break preparing for the Valspar Collegiate Tournament in Palm City Florida. Strafaci’s hard work throughout his debut season and spring break paid off. His victory at the Valspar Collegiate earned him his first collegiate tournament title and brought the team to three tournament victories so far this season. 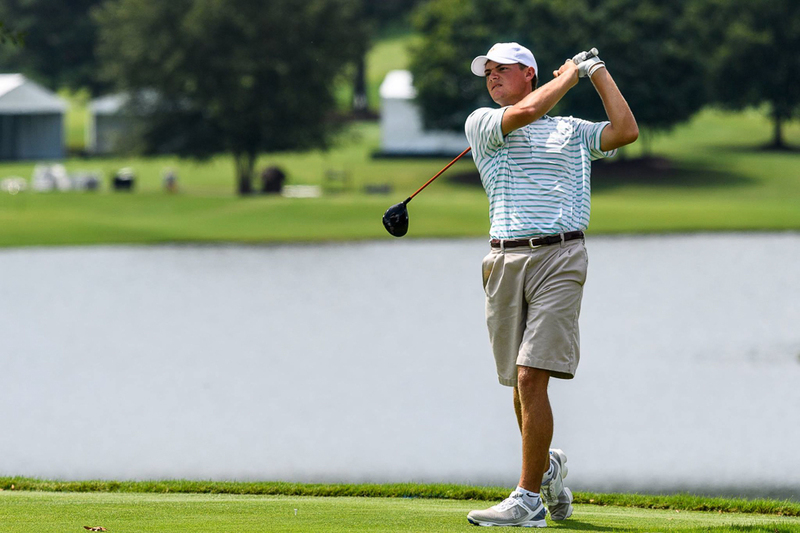 With fellow freshman Luke Schniederjans, who was recently named the ACC’s men’s golfer of the month, Strafaci proved that new talent was going to be instrumental in giving the jackets more upward momentum in the collegiate golf rankings. It didn’t take long for Strafaci to get into the swing of things at Tech and prove how big of an asset he is. His rigorous high school education was a factor in his smooth transition to Tech. With his history of hard work, Strafaci does not shy away from pressure, which makes him an impressive force on the course. Strafaci made his collegiate debut last October where he competed at the Golf Club of Georgia Collegiate Tournament and the Cyprus Point Classic. Strafaci tied for 43rd place at the Georgia Collegiate Tournament. Paired with Schniederjans, and he earned the jackets another victory defeating Greyson Sigg and Spencer Ralston of UGA at the Cyprus Point Classic. A memorable fall debut left the team excited to see what Strafaci and other newcomers had to offer the Jackets, earning Strafaci a spot on Tech’s travel team. Since his fall debut, he has helped Tech work their way back up in collegiate rankings after a few months of middling performances. The Clemson Invitational in April will be the Jackets’ final chance to demonstrate their improvement before the ACC Championships. Consistency is something that Tech golf has struggled with throughout the season. There always seems to be at least one disastrous round in every tournament the Jackets compete in. Strafaci and his teammates started to break out of this slump last weekend. If they can continue to push themselves up and further out of this dismal pattern, their chances of contending for a conference championship increase exponentially. “We’re just focusing a lot on attitude towards the game and just a very positive outlook and we’re working on our short game.” Strafaci explained, “I mean obviously when we’re training in the weight room and we’re practicing it’s very much a team atmosphere and we’re all pushing each other to get better. The Jackets are comfortable with competition away from home, as nearly all their tournaments this season have been out of state. Traveling to Salem, N.C., for the Clemson Invitational should not be very intimidating for them. It will ultimately come down to the quality effort. If every player internalizes the mantra that Strafaci stresses — particularly, taking care of what is in one’s control and remaining at peace with the rest — a victory at their final in-season tournament is within reach. All that Tech has to do now is show that they can pass this test with flying colors. It’s difficult to tell if a victory in their final tournament will be enough to carry Tech on to an ACC Championship, but there’s no doubt that Strafaci and his teammates are looking to the future and setting goals and holding themselves to high standards. Strafaci ended his high school career with two state titles, and ranked in several amateur tournaments throughout the summer. Golfweek magazine named Strafaci one of the top 15 freshmen to watch, and this season, he has justified that honor. With hopes of four All-American titles throughout his collegiate career, a national championship title for the Jackets, and possibly a professional career on the course, there’s no doubt the Strafaci will continue to be a staple in Tech’s men’s golf lineup. Those goals’ realization starts with wins at tournaments like these, proof that Strafaci is becoming acclimated to the rigor of the collegiate circuit. With only one sophomore on the team, players like Strafaci and Schniederjans will be expected to take major leadership roles in their junior year. They will have to serve as role models both on and off the course. Results like these offer promise that when the time comes, both, particularly the former, will be ready.